Kendal Homes is a builder specializing in helping homeowners realize the dream of new home construction. As a home builder we focus on quality construction from the site prep to the roof, simplification of the building process and timely move-in dates. We don’t believe that stunning homes and functional homes are mutually exclusive – and neither should you. Our homes incorporate both beauty and function with designs that meet the needs of today’s homeowner. Floor plan options accommodate the empty nester as well as the growing family with beautiful, smart and connected spaces. Whether you desire a newly constructed waterfront home or want to build on a private, wooded estate we’ll work with you to select the home and home site that best suits your needs. We have a variety of home sites available. We are a home builder located in Annapolis, Maryland and we build in many areas including: Anne Arundel County, Queen Anne’s County and surrounding areas. 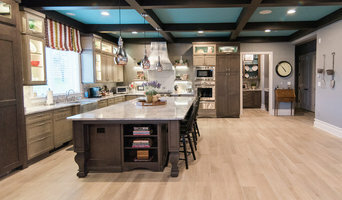 Ashley Custom Homes is a boutique, family-owned and operated firm based in Baltimore, Maryland. Our clients work directly with the principals, not with salesmen, and enjoy the ease and simplicity of having a single source for project design, permitting, site work management and construction. Cutting-edge design, meticulous attention to detail and outstanding customer service have made Ashley Custom Homes the builder of choice for over thirty years. If you’re looking for your next home and have not found anything you like among the re-sales or “new home communities” let Ashley design and build one that reflects your unique needs, ideas, lifestyle and budget. At Ashley, every new home, addition, renovation and commercial project is completed to the highest standard of excellence . . . yours. So whether you’re ready to begin or are simply seeking information, we invite you to call today for answers about the custom building process and advice about the best way to get started. Delbert Adams Construction Group, with divisions DACG Commercial and Gold Seal Services, builds and renovates custom luxury homes, provides commercial construction management and tenant build out, efficiently handles small construction projects and focuses on home repairs and property maintenance. We strive to provide quality construction, project management and value added construction services at a fair market value. Custom Home Builders in Maryland & Pennsylvania... That's Castle Rock Builders! Castle Rock Builders brings a wealth of knowledge, expertise and learned instinct to every PA & MD custom home that Castle Rock Builders builds. Welcome to Insignia Homes, where you will always get the home that you want, built the way you want it. Choose from a dozen floor plans we have on hand, or bring your own. Either way, we will give you our absolute best price in either of our premier communities or on your own lot. You choose to do it your way. Dan Veronica of Gaithersburg, Maryland had been searching for a builder to give him the home he wanted in a neighborhood where he could walk to the train for his commute to his job in Washington, DC. He found it with Insignia Homes. 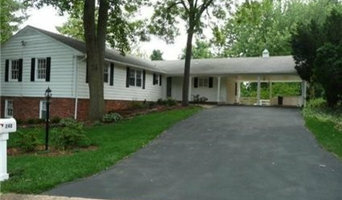 "These guys knew exactly what I wanted and helped me find a plan that worked for me at a price I could afford. I was able to build a fully custom home with all the amenities I desired and I got my big garage too! My hat's off to Insignia for giving me the opportunity to build what is truly my dream home, my way." We encourage you to browse our site, review our floor plans, explore our communities and contact us with your questions. Insignia Homes wants to have the opportunity to build your new home too!